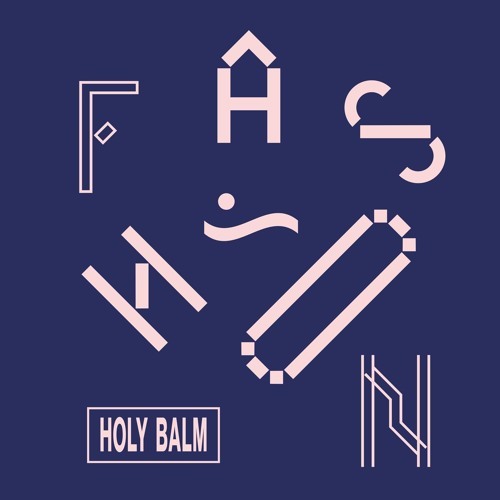 Holy Balm’s 2012 LP It’s You shook up the Australian independent electro scene thanks to its smart approach to creating danceable pop with sharp, considered aesthetics. It’s less-is-more approach to a sound reminiscent of 1980s bop-electro was equally lauded by discerning EDM purists and hipster sets, without being beholden to a demeaning ‘retro revivalist’ categorisation that many acts fall into or actively seek and exploit. A few years on and Holy Balm is set to follow up It’s You with another album through the esteemed label Chapter Music. Activity will likely be a fascinating expansion of the sound Holy Balm built its following upon, but with a few more years of experimentation under its belt. ‘Fashion’ is the first track we are hearing from the release, and it is a suitably apt choice for a band that walks the fine line of fashion in the sense of forging a path of its own without succumbing to the pitfalls of repetition or categorisation. A sensible and danceable synth pulse moves the whole track forward alongside a bip-bap beat while Emma Ramsay’s vocals lift the whole experience up to some lovely lofty highs. The song isn’t lyric heavy, but what’s there sets Fashion as less of a garment industry-centric ode but rather a call to pursue one’s own desires. “Fashion it the way you want / walk the way you feel” – the song opens up with what could be Holy Balm’s own mantra, being a group that makes a career out of fashioning sounds out of what they find stimulating, not what is trending. Towards the end of the track we get a delightful deconstructed sax movement by Marcus Whale, while we are told to “gear up for something strange” and that you have to “change the way you gotta think to find your own piece of mind”. Strong words of wisdom – if Holy Balm has taken its own advice we can expect something special when Activity drops in early August.